Were you aware that states have a designated state rock? I know we have the state bird, and the state flower but I was not aware of the state rock. I looked it up on Wikipedia and they have a list of "U.S. State Minerals, Rocks, Stones and Gemstones." So what is our state rock you ask? Our state rock is Granite. the official Rock for the State of North Carolina." 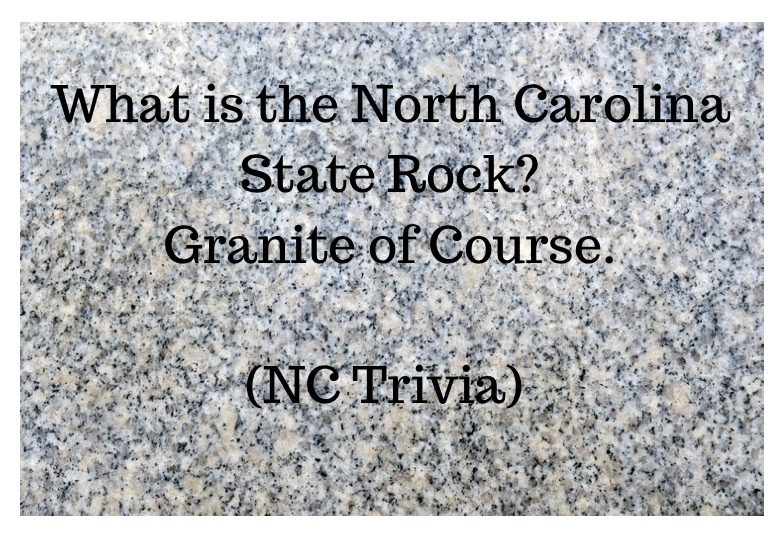 "The State of North Carolina has been blessed with an abundant source of "the noble rock," granite. Just outside Mount Airy in Surry County is the largest open face granite quarry in the world measuring one mile long and 1,800 feet in width. The granite from this quarry is unblemished, gleaming, and without interfering seams to mar its splendor." You can visit the Quarry in Surry County, but they have strict rules for your safety on what areas to which you have access. They do have an observation deck where you can see the quarry and hear the daily explosions. To find out more visit NC Granite. 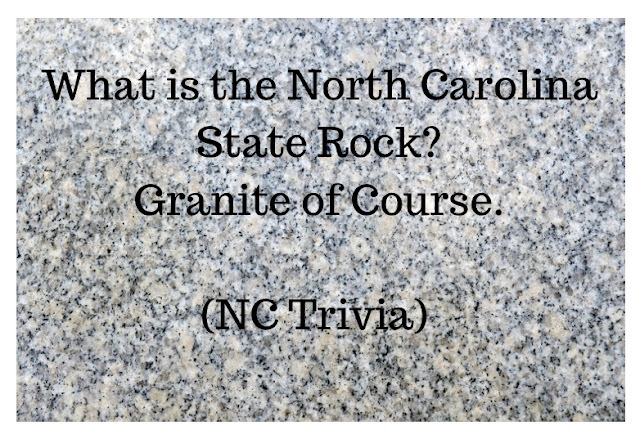 So, next time you are playing trivia, and they ask you what the state rock of North Carolina is you can answer with full confidence. "I know, I know, the NC state rock is granite!"